good quality bidet shower.Pleasure to use. 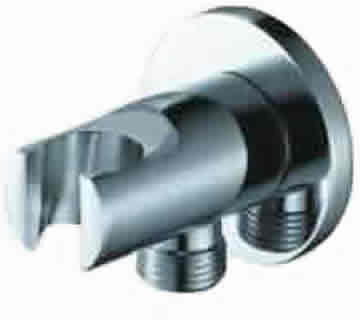 WPL0900: Round chromed alloy water outlet elbow with integral shower mount. closing Ideally suited for use with our MIX4000 and MIX4500 mixer valves to connect the warm mixed water to the Bidet shower hose. 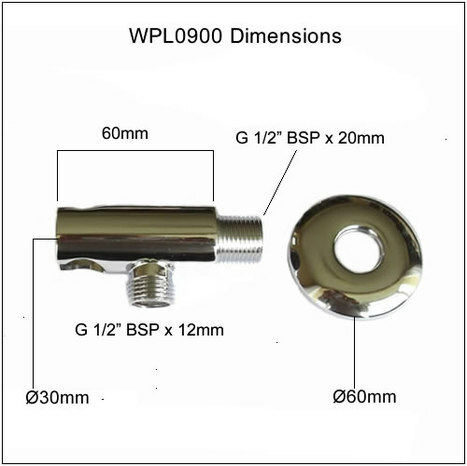 WPL0900: Circular wall plate elbow with shower mount. Premium quality metal alloy wall plate elbow with integral shower holder, compatible with all our range of bidet showers. Finished in mirror chrome, ideally suited for use with our MIX4000 and MIX4500 mixer valves . Dual purpose shower holder and a medium for connecting the warm water pipe from the mixer valve to the Bidet shower hose.